Below you see a wide variety of photos of printed frosted window film. 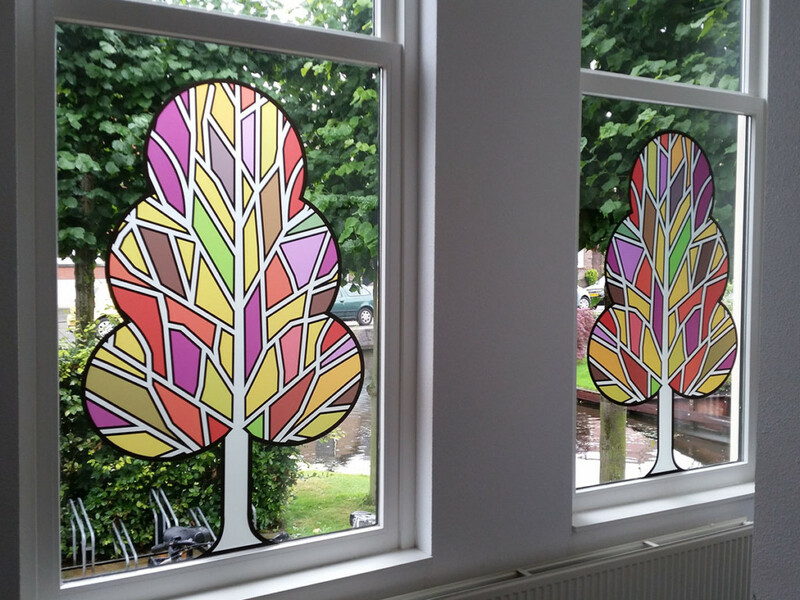 Use these photos of frosted window film with print to inspire your own designs. 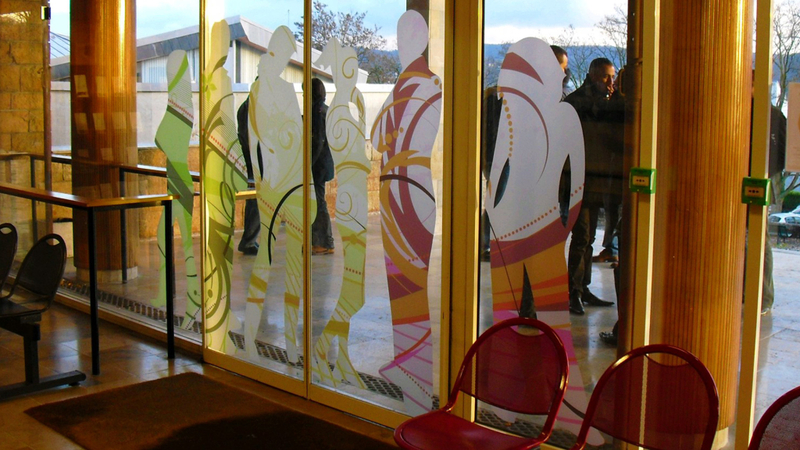 Frosted window film with print can be cut-to-size. To perfectly fit your windows. Below you see a number of rectangular frosted window film designs. 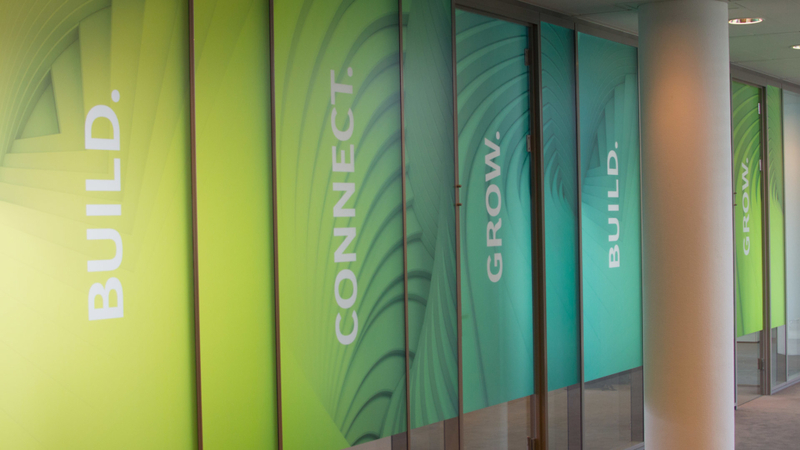 Use our online designer to design your own cut-to-size printed frosted window film. For cut-to-shape frosted window films we advise you to contact us directly by email and not use the online designer. 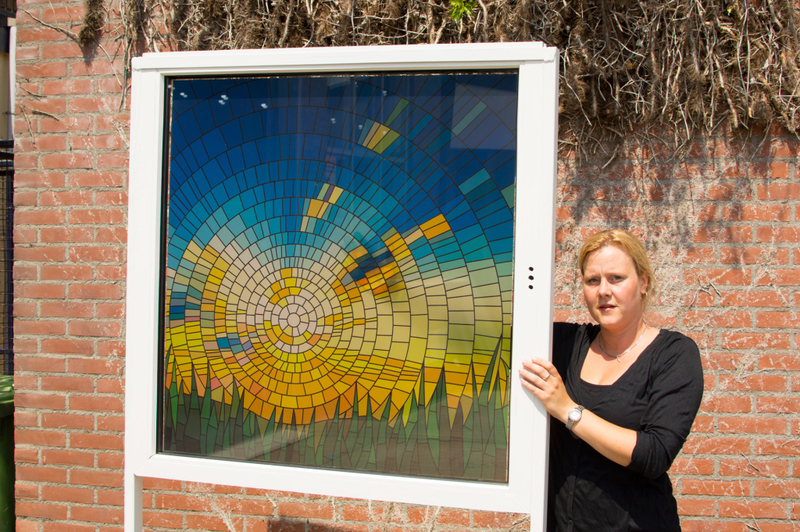 The online designer only allows you to design rectangular frosted window films with print. Below you will see a number of photos of cut-to-shape frosted window films.